Order Lavender Fuji Spider Mums and you won't regret it! Our carefully grown Lavender Fuji Spider Mums are as elegant as ever and carefully harvested for the plushest petals. Our blooms are carefully grown to ensure that every petal is plush and inviting to the touch. Your event, or special occasion will surely benefit from the posh feel that our Order Lavender Fuji Spider Mums bring. 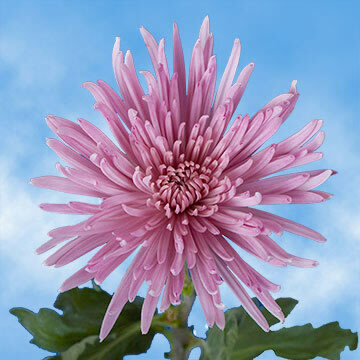 A bunch of Lavender Fuji Spider Mums are also perfect for decorating your home or office space. When you order flowers online with us, we offer free and convenient delivery. Our floral professionals are dedicated to producing the most perfect petals possible. We are also dedicated to providing prompt and efficient customer service. This ensures that you not only receive the freshest flowers possible, but you also receive quality service when you order a bunch of Lavender Fuji Spider Mums with us.